Led by the 2017 Chevrolet Silverado, the Chevy truck line-up will offer something for every type of pickup driver. That means whether you need some serious hauling power or a weekend runabout, you can find it in 2017 Chevrolet trucks. If you look at 2017 Chevrolet truck differences, you can see how the midsized Colorado really is appealing to a different market. The Colorado is smaller, lighter, and more nimble than the Silverado. More importantly, it manages to be more nimble than competitors like the Frontier and the Tacoma. Fuel economy is lower for the Colorado than any other pickup truck. This attracts buyers who are interested in midsize trucks due to its budget pricing. While the initial asking price is lower than a Silverado, however, the prices for the Colorado climb as the shopper moves up the trim ladder. Obviously the Silverado 1500 is bigger and has more power than the Colorado. It can handle harder tasks and bigger tows. Many trades people will opt for the bigger Silverado to get the extra capacity. 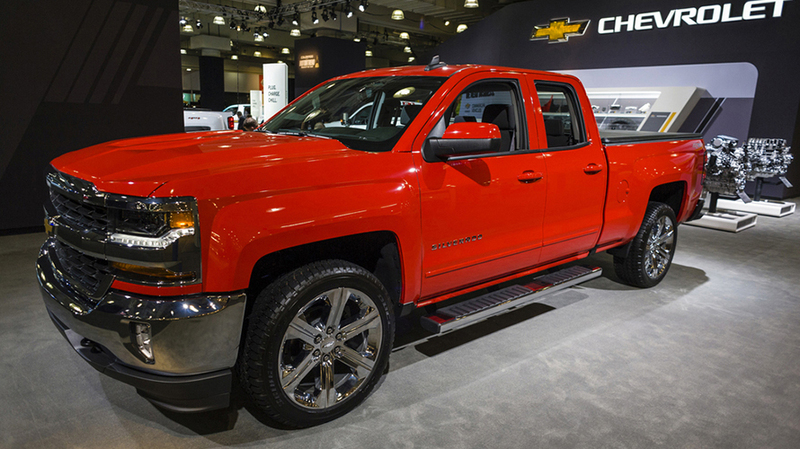 Fleet managers may go for the Silverado HD. Whether it’s the 2500 or 3500, you’ll find that these trucks are built even tougher and engineered with heavier-duty, higher-performance engines than the mighty Silverado 1500. In 2015, Chevy reintroduced the Colorado, a midsized truck to compete with the Nissan Frontier and the Toyota Tacoma. The effect was immediate as the Colorado grabbed Motor Trend’s Truck of the Year Award. The 2016 Colorado snagged a second Motor Trend Truck of the Year Award, recognizing its Duramax Diesel. This truck can handle 6,800-pound tows, making it on par with some of the lightest duty gas V-6 pickups. The 2017 Colorado may up the ante on the current diesel. Chevy’s goal for the Colorado is 30 mpg/highway fuel economy. As a truck for the home front, the regular Access cab Colorado may not be the best pick. It has two jump seats in the interior cargo hold. It has a LATCH attachment for the front passenger seat, allowing a parent to secure a baby seat there. Since the backseat is more ideal for children, especially babies, families tend to favor the double cab with a full backseat with LATCH attachments. Top V-6 performance: 305 horsepower/ 265 lb.-ft. The 2017 Silverado is stepping up to challenge Ford’s dominance. As for 2017 Chevrolet truck differences, the new model may look less like its heavy duty cousins and more like the Colorado than it currently does. Rumors that it will go to military-grade aluminum like the Ford F150 are probably unfounded, but it is expected to have more lightweight aluminum content. The powertrain efficiency that has been emphasized with the 2016 Silverado will expand with the new offerings. The 2016 model leads the V-8 class with its fuel economy. Both Silverado V-8s are paired with a precision-oriented eight-speed automatic. The 2017 Silverados are expected to pair this with the V-6 edition as well. The Silverado offers large cabins that can compete with SUVs in comfort and spaciousness. The truck maker is clearly targeting upscale shoppers and families with its long list of features. Just like an SUV, this truck can be packed with programmable thermostat, leather seats, and the latest infotainment features. Top cargo volume: 76 cu.ft. Top V-8 Performance: 420 horsepower/460 lb.-ft. The Silverado heavy duty line-up gained some power and efficiency this year, offering a top torque of 765 lb.-ft. with its turbodiesel. The 2017 line-up may enjoy a new platform. This will be engineered for greater durability and enhanced strength. A heavy duty eight-speed transmission could round out the offerings, but the truck maker may wait on that. It is said to be developing a 10-speed automatic to match up with the Duramax. Cabins have gained high-end luxuries that make them on par with the 1500 in terms of style and comfort. Top Performance: 397 horsepower, 765 lb.-ft. The 2017 Chevrolet trucks have yet to make their debut to critics or consumers. Given the competition, shoppers can expect to see more top amenities as the brand seeks to compete with Ram and Ford.